“There is no cure for HIV and AIDS but it is preventable. We have learned that the single best way to stop the spread of HIV is through education”– Dr. Lobsang Sangay. The Honorable Dr. Lobsang Sangay, Sikyong (Prime Minister) of Tibet, has graciously offered a Message of Hope in English and Tibetan to be incorporated into the Tibetan language version of the TeachAids HIV animations. During this short video, Prime Minister Sangay reflects on the lessons learned over the 34 years since HIV was first identified. He notes that while many lives have been lost, Tibetans “can now look forward, not backward,” armed with more knowledge than ever before. Born in a Tibetan settlement near Darjeerling, India, Prime Minister Sangay holds dual Bachelor degrees in English Literature and Law from Delhi University. As a Fulbright Scholar, he received Master’s and Doctorate degrees in Law from Harvard University. Widely recognized as a world expert on international human rights law and democratic constitutionalism, Prime Minister Sangay has spoken at hundreds of seminars and won a number of prestigious international awards. He was the recipient of the Leadership Award from Regional New England Amnesty International and the Peace and Justice Award from the Peace Commission of City of Cambridge. In addition, he was recognized with the Gold Medal for Outstanding Contribution to Public Discourse by the College Historical Society of Trinity College, Dublin; and recently received the 2015 Salisbury University Presidential Medal for Distinguished Community Leadership. During his tenure as Sikyong, Prime Minister Sangay has sought to unify the Tibetan diaspora and promote strategic nonviolent resistance. A firm believer that the future of the Tibetan population is in the hands of today’s youth, Prime Minister Sangay has implemented broad policies for equitable, high-quality education and health care, as well as strategies to promote youth empowerment. In furtherance of his commitment to the future of Tibet, Prime Minister Sangay is dedicated to ensuring that all Tibetans have access to high quality HIV education materials, including the “remarkable tools” developed by TeachAids “designed for the Tibetan people and Tibetan children”. 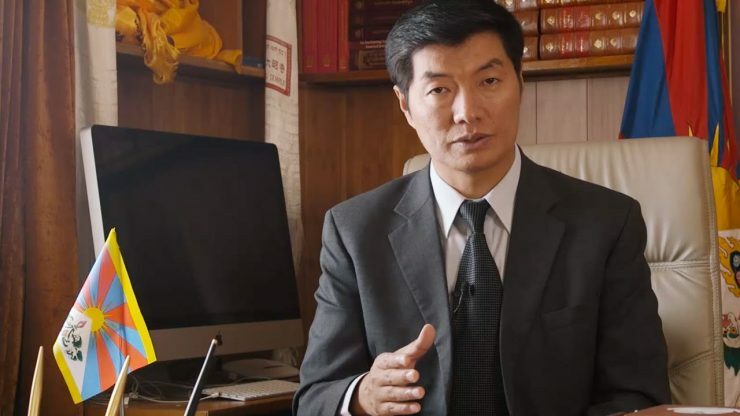 Prime Minister Sangay appeals to Tibetans to educate themselves about HIV and “ so that our children, your son and daughter, your nephews and niece will be… a healthy Tibetan”. In addition to the generous support they have offered TeachAids in the development of the Tibetan language HIV education materials, Prime Minister Sangay’s administration has agreed to distribute more than 10,000 copies of the Tibetan language software to clinics, schools and hospitals in Tibetan communities throughout India, Nepal and Bhutan, as well as inside of Tibet. We thank Prime Minister Sangay for his personal dedication to HIV prevention and for mobilizing support from his office to make this initiative a reality. Together, we will make high quality health education available to millions of Tibetans around the world.